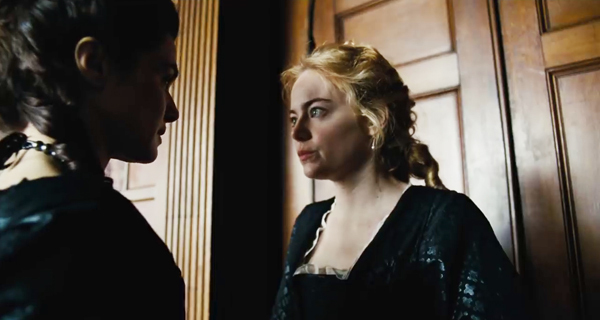 (SPOILERS) In my review of The Killing of a Sacred Deer, I suggested The Favourite might be a Yorgos Lanthimos movie for those who don’t like Yorgos Lanthimos movies. At least, that’s what I’d heard. And certainly, it’s more accessible than either of his previous pictures, the first two thirds resembling a kind of Carry On Up the Greenaway, but despite these broader, more slapstick elements and abundant caustic humour, there’s a prevailing detachment on the part of the director, a distancing oversight that rather suggests he doesn’t feel very much for his subjects, no matter how much they emote, suffer or connive. Or pratfall. 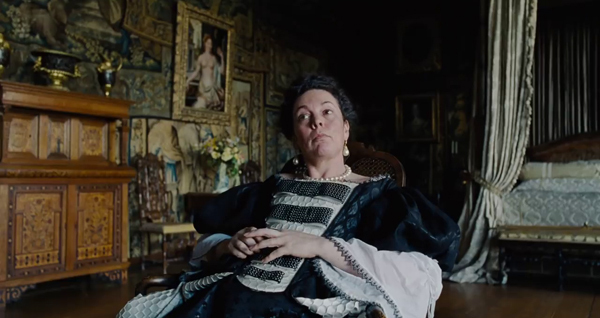 I suspect the capacity for ruthlessness and cruelty on display in the screenplay credited to (historian) Deborah Davis and Tony McNamara attracted Lanthimos, duly processed through his own eccentric digestive tract. Certainly, this is a period of English history rich and ripe for a literal interpretation, let alone the arch one the director adopts. A tale of a weak, frequently child-like, easily-influenced monarch caught between cousins sparring for her attentions and the power that comes with it, the triangular element appears to be (surprisingly) accurate, even if the accompanying intimacy is mostly a source of speculation. 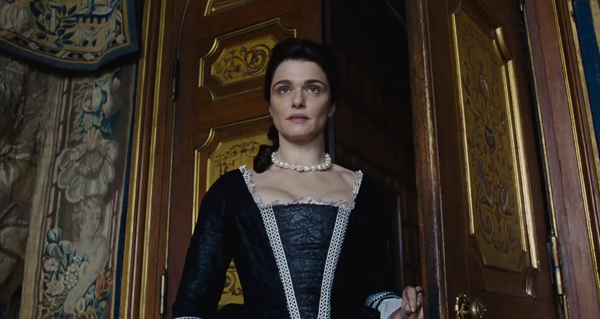 Queen Anne (Coleman) was evidently very reliant on Sarah Churchill (Weisz) at one point, Churchill falling out of favour and Abigal Masham (Stone) supplanting her. And Churchill and her husband, the Duke of Marlborough (Mark Gatiss, speaking earnestly of his need to sleep with his men), were indeed ultimately banished. Decisions regarding the war with France take on the mannerisms of farce, presided over by a frequently stuporous queen, with parliamentary decrees dependent on whoever has whispered in her ear most persistently in the preceding period. There’s strong support from Nicholas Hoult as the Earl of Oxford, relishing the chance to be a rotter and very funny with it, but the presence of duck-loving James Smith as the Earl of Godolphin (The Thick of It) rather serves as a reminder of the superior fun Armando Iannucci might have had with this political hotbed of insensible decision making. Lanthimos populates the court with distracting/ flashy choices, often weird and/ or funny, but also frequently trying a bit too hard. 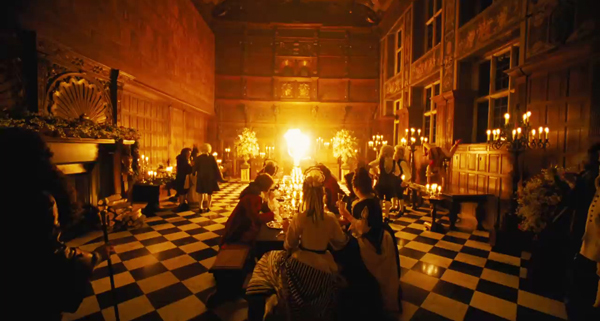 The use of natural light à la Barry Lyndon is typical his oeuvre, but he also encourages cinematographer Robbie Ryan to employ a largely unmotivated and excessively flourished fisheye lens (and much use of low angles, although that’s a more consistent tic). The sumptuous classical strains and modern composers on the soundtrack are largely successful, however, in particular the discordant viola of Luc Ferrari as tension rise. And he throws in duck racing and shooting, rabbit fondling and crushing under heel, laughing naked slo-mo fat men as willing target practice (with oranges), and crazy dancing of the sort you’d more likely expect in a Will Ferrell comedy. None of which really adds up to a coherent whole (if you want a bawdy period romp with an irreverent style but consistent tone, you could do worse than Tony Richardson’s Tom Jones). Indeed, the picture is more successful in the final stretch, when the self-conscious lunacy is dropped for no-holds barred contention between Abigail and Sarah. As far as this awards season is unfolding so far, following this and Roma, I’m finding myself fairly unimpressed with the frontrunners. 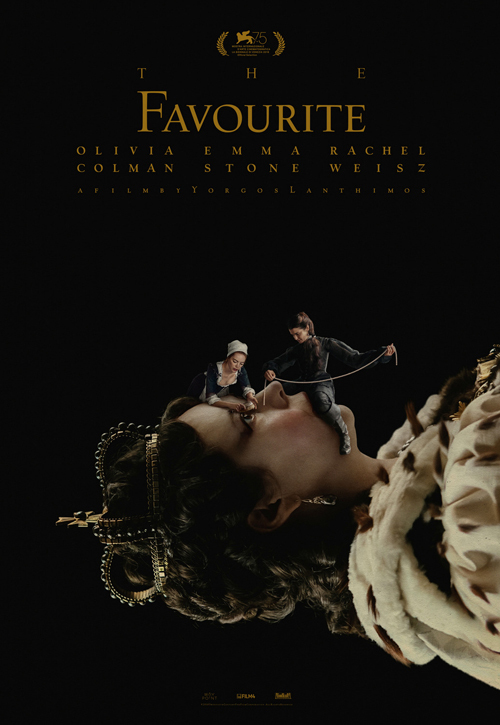 I can see why The Favourite is gaining traction, as it ticks the box of being nominally a heritage piece while simultaneously being just enough but not too unorthodox enough to turn off voters. It’s also an embarrassment of riches in the acting categories. 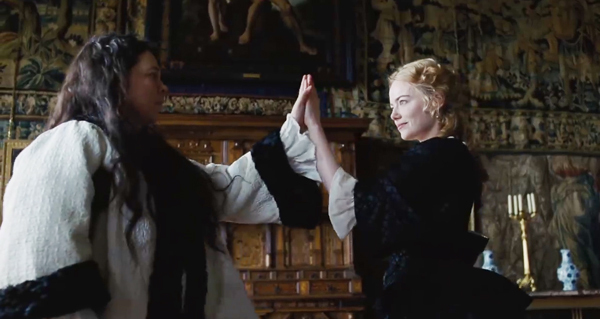 But I feel as if Lanthimos has fooled critics into becoming their favourite, as Lars von Trier did before them. Which may mean a fall from grace is in the offing at some stage.